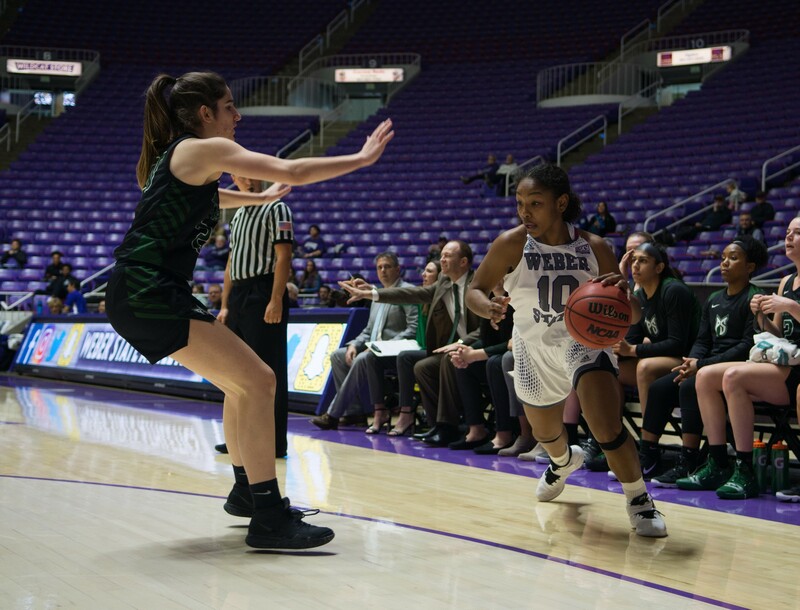 Following Thursday’s loss to the Idaho State Vandals, the Weber State University women’s basketball team played host to the Portland State Vikings. The Wildcats suffered their twelfth loss on the season and tenth in a row, 77–59. With the help of the Vikings eight first half three pointers, the Wildcats fell behind by double digits early in the second quarter. WSU trailed the rest of the game struggling to get points on the board. By the end of the first half the ‘Cats found themselves in a fourteen-point deficit 42–28, shooting just 34 percent from the field and 11 percent from the three-point line. Harris gave her thoughts on the first half. The Vikings opened the second half with a 16–3 run, increasing their lead 58–31. After a technical foul given to Harris, the ‘Cats showed life, scoring three straight buckets cutting into Portland’s lead. Despite two players in double figures, Welch-Coleman with 16 and sophomore Kayla Watkins with 11, when the final buzzer went off, WSU fell 77–59 to the Vikings. The ‘Cats finished only shooting 42 percent from the floor, 25 percent from three point range and a disappointing 66 percent from the free-throw line, compared to 74 percent on the season. WSU will travel to Greeley, Colorado to take on the University of Northern Colorado Bears, before returning home to take on Montana State and Montana. The ‘Cats are still looking for their first win in conference play after falling to 0-6 but the Bears won’t be an easy task. UNC is 10-4 overall and 5-0 in Big Sky play.